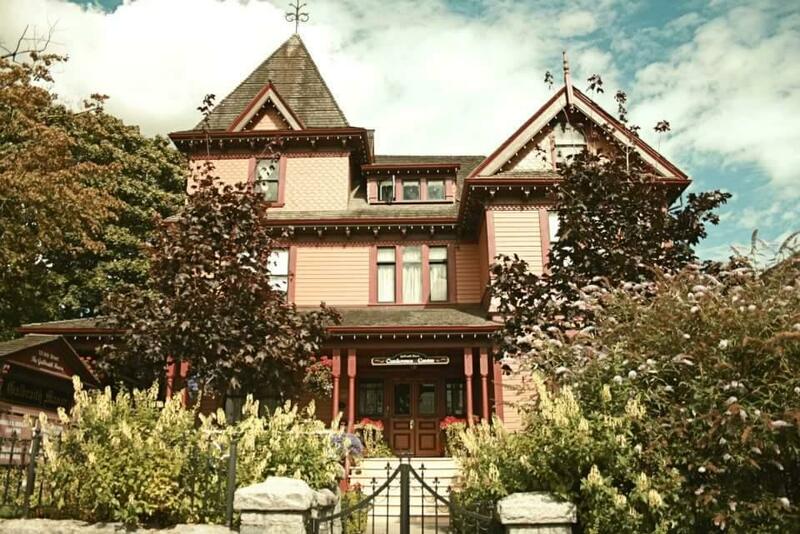 ​We are a historic Mansion located in Charming New Westminster, also known as the Galbraith Conference Center. Considered a smaller Mansion, this venue is a well thought out use of space. 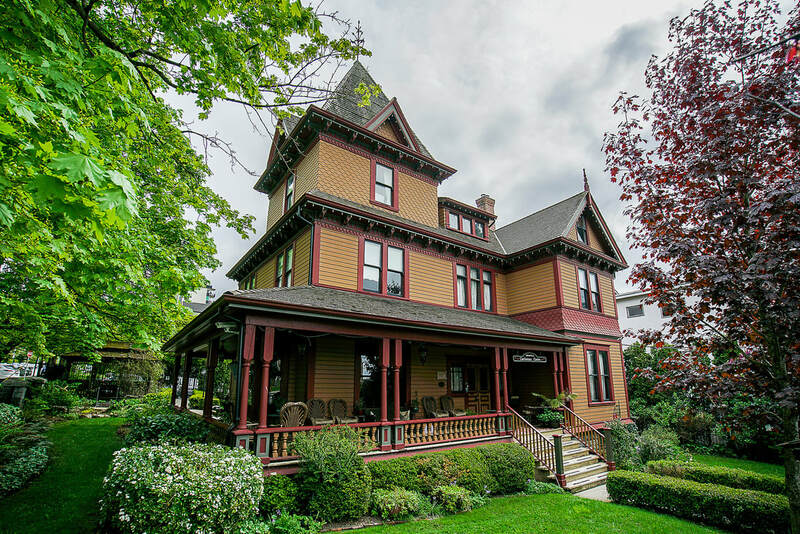 The home built circa 1892 was originally restored by the Jang family approximately 12-15 years ago and is now privately owned and meticulously maintained by Angela Kerslake. From its original build certain outstanding features have been added such as the wrap around veranda. Sit and have a cup of tea while your meeting breaks and dream of days gone by while staying cool by the enormous trees surrounding the perimeters of the yard. 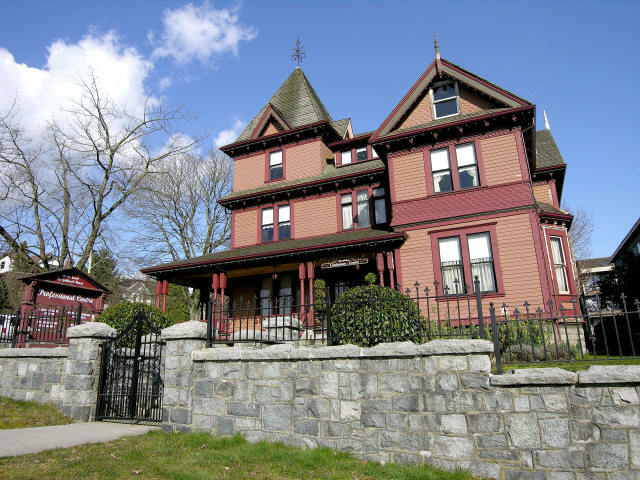 The protective stone and wrought iron fencing , adds to this stately home, although newer you would think that it was handcrafted by masons of days gone by. The facility boasts an updated kitchen most foodies would envy, from its gas range to its double ovens. The integrity of the era have been kept in mind while renovating it and bringing up to date. Giving it a modern homey feel, cabinets filled with timeless crystal and dishes from days gone by marry with the modern conveniences of today. The second and third floors house a variety of offices, while the main floor is used as an event , meeting space. From weddings to workshops to private events our main floor is great for those smaller gatherings. Most recent, we are home of “High Tea with a twist”, held the last Sunday of every month. From these teas we are proud sponsors with partial proceeds going to a variety of charities. Take a step back in time, with our beautifully appointed common rooms, such as our library/lounge. Often used as the bar when having a licensed event, this charming room brings us back to an era of cigars and deep conversation. Sip your beverage beside our fireplace and enjoy your evening. During workshops this room is often used as a break- away room. Our Mini dining room can seat up to 12 and of course is again decorated in the period. From our beautiful foot organ to the many nic nacs placed around, to the grand table and chair set, this room states “elegance”. This room doubles as our buffet room when having functions or a room to mingle in over cocktail hour. This room is large enough for those smaller meetings or sets itself as another break-away room. The Great Room has many uses, from elegant sit down dinners, to workshops to cocktail style receptions, we have held many wedding ceremonies here and flipped the room for the same clients to serve their group a magnificent sit down seven course dinner. This room can hold up to thirty, and we have a variety of seating options. We are often scouted and used in a variety of film media, from television to movies. We have been the back drop to many photo shoots, weddings, engagement, personal portfolios being among the uses. We are full service conference center, in that we have a full range of suppliers and can easily set up your entire event. Florist, Décor and Linen, Rental companies, and our house Caterer are all part of the in house services we offer. Let our event planners assist you with all your needs. Our in house caterer, Mr. Mom’s World can provide early morning breakfast to late night cocktail events and everything in between, each of our menus are custom to your group. For those having workshops there are one price menus, including morning, lunch and an afternoon breaks. For those looking to impress, our evening event menus will most certainly do that. With a wide range of menu choices and styles and competitive pricing, we most certainly will be able to accommodate any of your event needs. It is our goal by having a variety of events, to be able to have a place where the older generation can remember days past, this generation is the link between remembering grandma’s house and passing on new memories of old things to our younger generation. With that we invite you to take part in one of our events whether coming to a workshop, attending a wedding or coming to one of our High Teas, step back in time and enjoy a day with us. 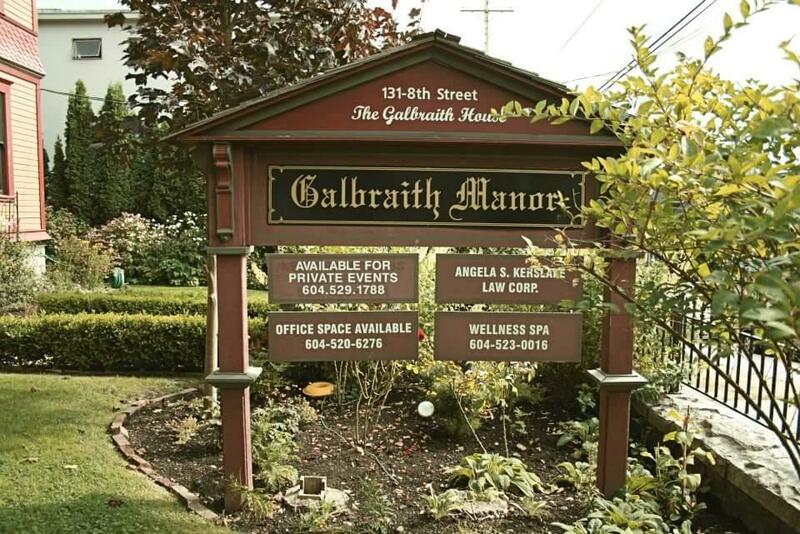 So whatever your upcoming event may be, thank you for considering the amazing Galbraith Manor.